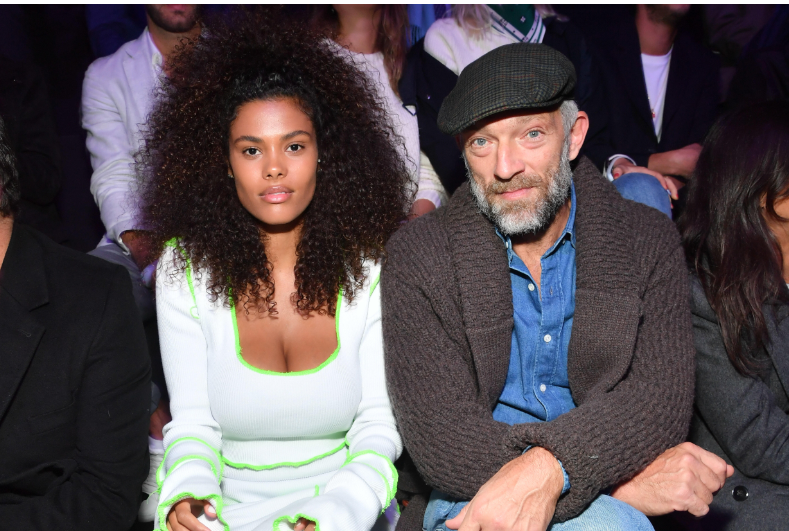 Vincent Cassel married a young sweetheart - model Tina Kunakey just a month ago, and the newlyweds continue to glow with happiness in each other's company. 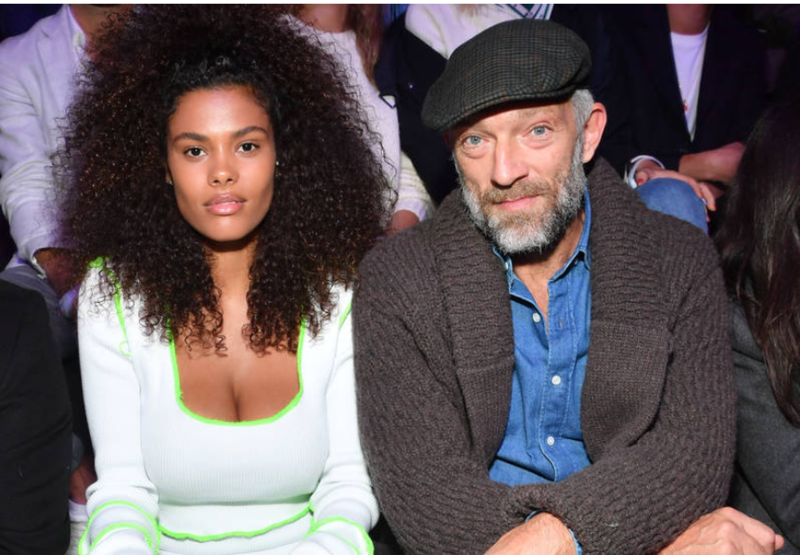 Last week the couple visited Roberto Cavalli fashion show in Milan, and yesterday watched the ETAM underwear show from the first rows. Tina looked young and fresh in a light dress with neon inlays. The outfit with a deep neckline and flounces favorably emphasized the perfect shape of the model. Tina completed the image with black high heel sandals with lacing. Cassel tried on ordinary jeans and a denim shirt, wool cardigan and a checkered cap. The actor had grown a long gray beard, which aged him a lot. The network's user reacted negatively to the appearance of their favorite actor: "Something handsome has completely surrendered, Tina looks like a little girl next to him", "He and Monica were such a beautiful and harmonious couple, and now it's grandfather and granddaughter, not husband and wife "," He would have to shave and change his clothes, why should he grow old like that? ". We will notice, after wedding spouses practically always appear in public together and look absolutely happy and harmonious. For the first time, Cassel and Kunakey photographed each other's companies in Ibiza in 2015. Lovers played a luxurious wedding in August of this year and then reported that they are ready to create a full-fledged family and have children. Recall, Vincent Cassel brings up two daughters from the marriage with Monica Bellucci, with whom he lived for 17 years - Deva and Leoni.